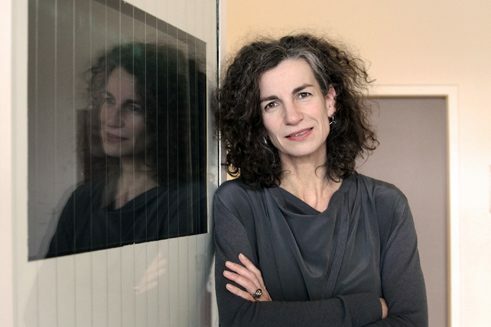 Annemie Vanackere has been director of the Berlin theatre Hebbel am Ufer (HAU) since 2012. A talk about international networking and third-party acquisitions. Mrs Vanackere, Kat Válastur, a Greek choreographer who lives in Berlin, had her premiere in HAU 2 in April 2016. Her dance piece “OiLinity” revolves around the presence of oil products in everyday life. But this premiere was not co-financed by multinational oil companies? Would we accept such a thing? But seriously – Kat Válastur is one of the choreographers with whom we work intensively. She is now in a good position as she gets financial support from diverse funding programmes and is also supported by us. Is this a model for other projects in your house? As a rule, premieres can only take place here when the artists have applied to various places for project or promotion funds. Larger sums come from Berlin’s Hauptstadtkulturfonds (Capital City Cultural Fund), smaller ones from the Berlin Senate and the Fund for the Performing Arts. 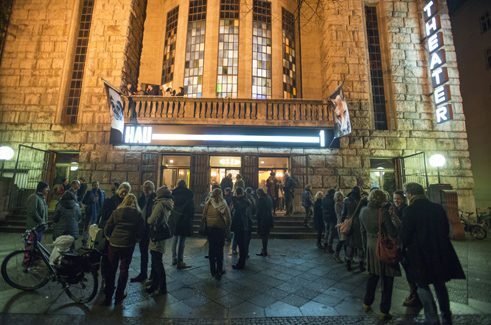 With the Hauptstadtkulturfonds there’s the condition that the premiere is to take place in Berlin and also that at least four performances are staged here. The HAU can participate with a sum between 5,000 and 15,000 Euros. So that means that in general artists have to apply to various sponsors to be able to finance their project. Does that also have an influence on the content of the respective project? Fortunately, among our partners there are enough theatres who, like us, trust the artists. Over the years we have developed a common basis for co-productions. This means that artists and theatres were and are involved in continual talks, the houses follow and promote the respective artistic development. Are there any projects at all on the three stages of the HAU that come about without co-production funds? With us it’s the normality that each production has to be promoted by several partners. In Berlin we have the advantage that there are several possibilities for artists to apply for funding. Other cities are sometimes envious of this situation. Your contract as artistic director and manager was extended to 2022 in January 2016. Was that a confirmation and encouragement for your work? Yes. What’s more, it was fantastic for us that the Berlin Senate increased the budget for the HAU by 690,000 Euros to a total of 5,643,000 Euros, of which 200,000 Euros are earmarked for the festival Tanz im August. That’s a boost for my aim to also be able to finance a production on our own. In November 2015, there was also the announcement from the Ministry for Culture and Media that together with six other international production houses in Germany, including Kampnagel in Hamburg, the FFT Düsseldorf and the Mousonturm in Frankfurt, you would be receiving additional financial support for three years. It’s important for me to work in a network of like-minded people. I always found the competition situation here in Germany tiring. That’s why we initiated this alliance of international production houses for a regular exchange. The confirmation of the financial support for the alliance of these seven international production houses also means that we will be regarded as an institution. At present, however, for the time being these funds have only been secured for one year. Don’t the conditions of co-producing, the run-up with the fund seeking and authorisation, prevent you from reacting quickly to the present with projects? No, on the contrary. If I think of the thematic focal points of last year (2015), such as Männlich, Weiß, Hetero, then the time there between the granting of funding and the programme start was very short. More money helps us to make longer-term plans. In autumn 2016 our main focus is on Peter Weiss and the “Aesthetics of Resistance”. We applied for funding for this project one and a half years ago at the Kulturstiftung des Bundes (Federal Culture Foundation) and in July 2015 it was authorised. We are then able to hand out assignments: for example to ask the director Rabih Mroué if he will do a new piece for the festival. The same applies to the director and author Nicoleta Esinencu from Chişinău in Moldavia. Olvier Frljić from Croatia is doing a new work on Peter Weiss, but it premieres at the Viennese Festival Weeks 2016, who we have been able to secure as co-producers. And the international festivals always have a bit more money than the production houses. You have been working on a long-term and continual basis with many of your co-production partners, for example the Teatro Maria Matros in Lisbon. I find that amazing when you consider the economic problems afflicting that country. The economic situation in Lisbon is a catastrophe. It’s pure survival strategy on the part of Mark Deputter, the head of Teatro Maria Matros, to become so engaged in the EU networks. One of them is House on Fire with a total of ten partners, including alongside Lisbon the Kaaitheater from Brussels and Frascati in Amsterdam. We meet three to four times a year. The network allows us to invest in projects, as we are then able to get back about 40 per cent of our investment via House on Fire. The affiliation was set for five years, the programme expires in 2016. Then HAU is also part of the network [DNA] DEPARTURES AND ARRIVALS that focuses on contemporary dance. Continuity is important, you have to get to know one another and see where the biggest intersections are, both artistically and with regard to content. In these networks you soon find out when something new is developing. In this respect the networks are a piece of living Europe. Without a doubt. We have to get involved with one another, otherwise there’s no point. Katrin Bettina Müller conducted the interview. The author has been an art, theater and dance journalist since the 1980s, and since 2002 an editor of the newspaper “taz”.